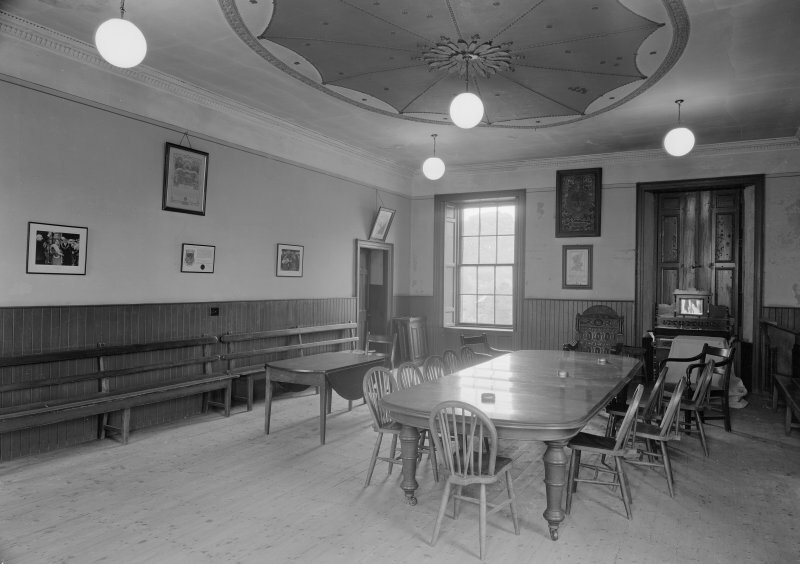 Interior view of Falkland Town Hall. 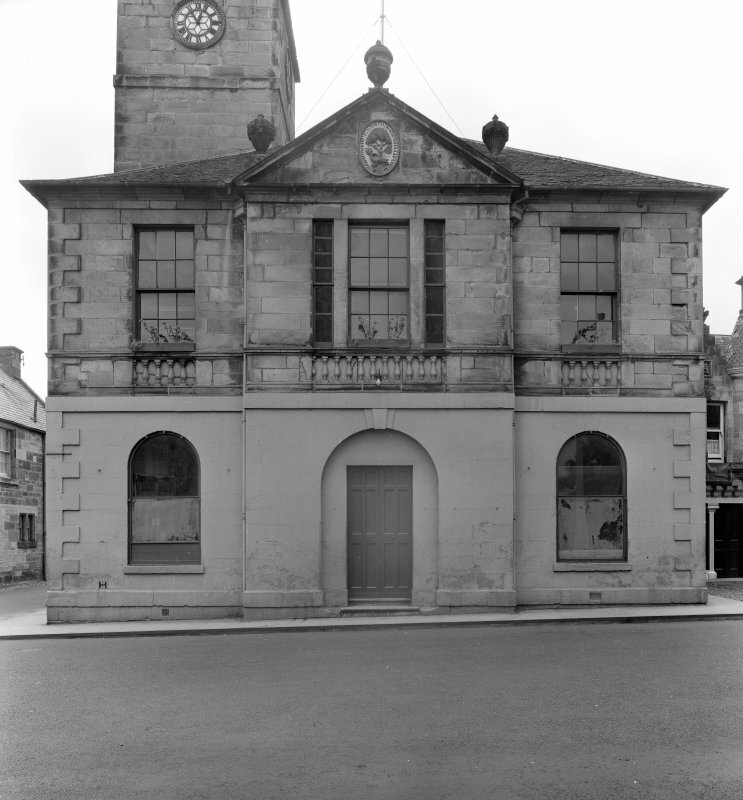 View of central section of north facade of Falkland Town Hall. 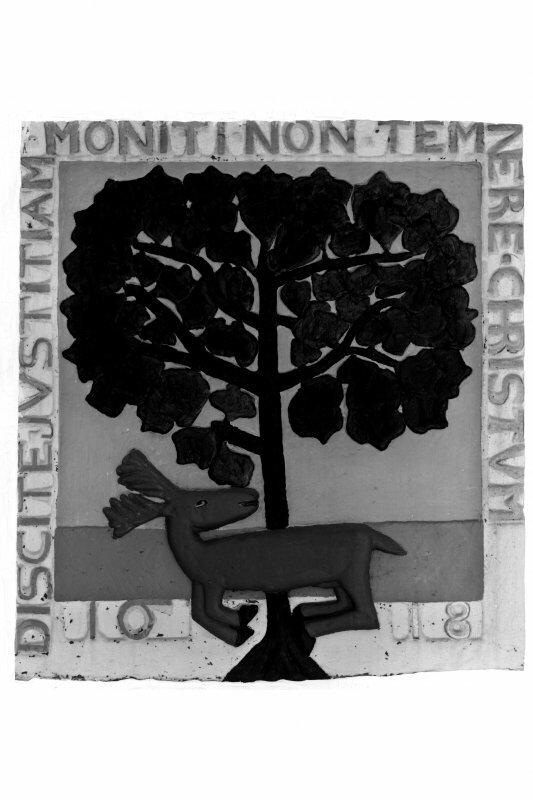 Ornament of bell Preparatory drawing for 'Tolbooths and Town-Houses', RCAHMS, 1996. 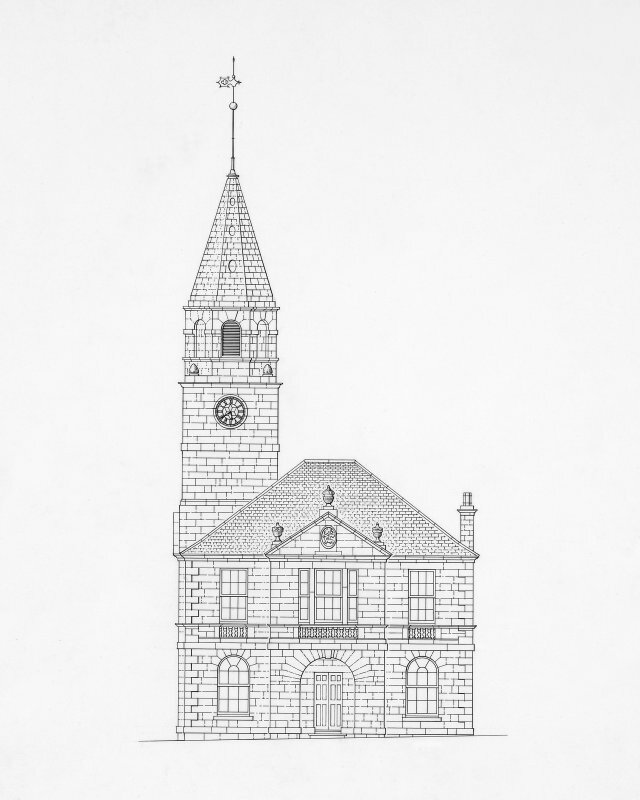 N.d.
North elevation Preparatory drawing for 'Tolbooths and Town-Houses', RCAHMS, 1996. 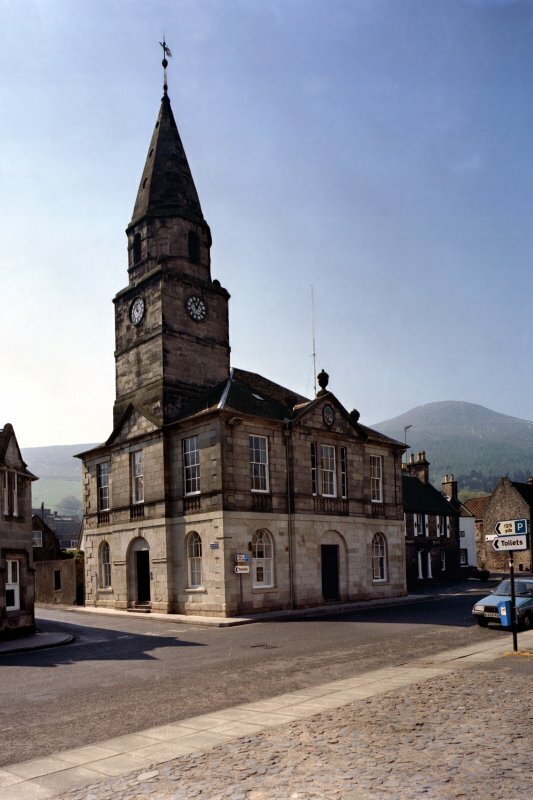 N.d.
View of Falkland Town Hall from north east. Digital image of drawing showing N elevation. 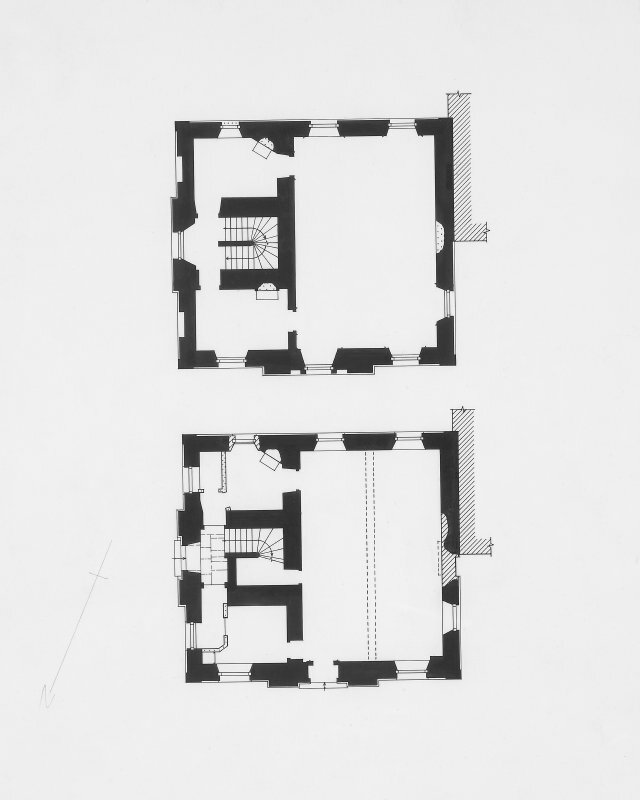 Digital image of drawing showing floor plans. 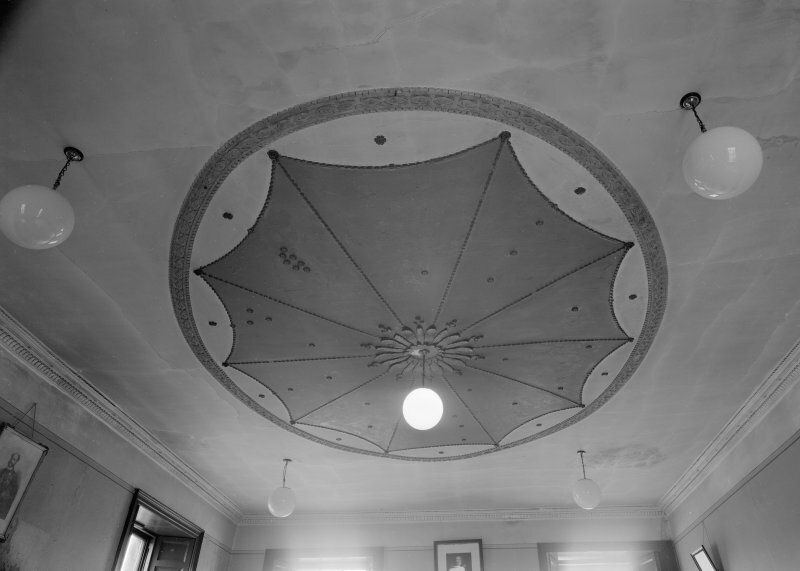 Interior view of Falkland Town Hall showing ceiling rose. 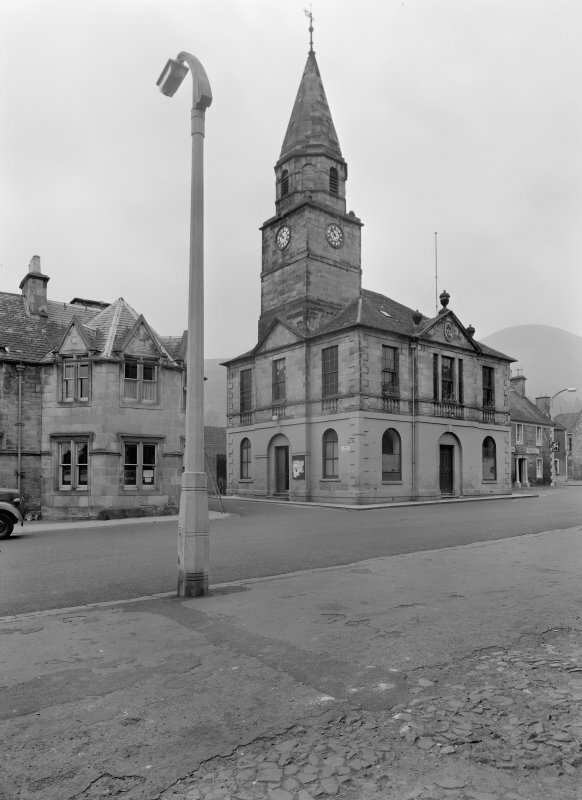 Photographic survey of Falkland Town Hall, Fife, by the Ministry of Work/Scottish National Buildings Record in October 1957. 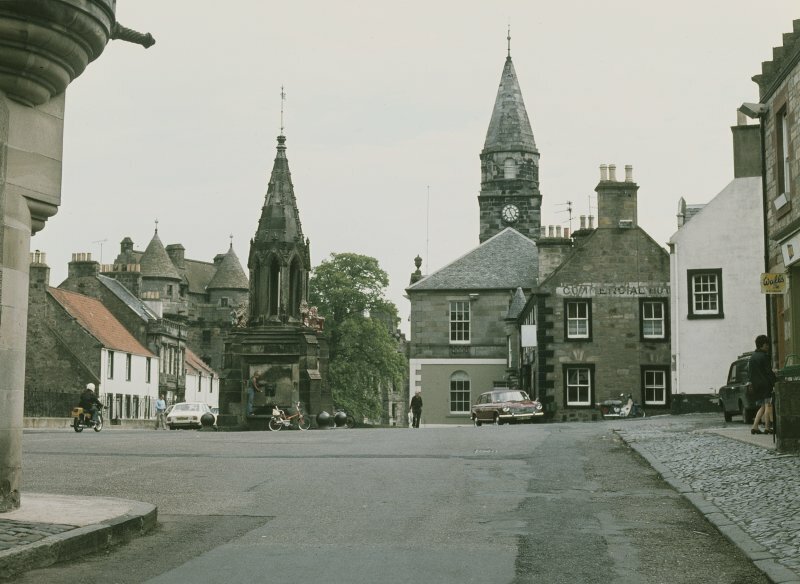 Falkland Town-house, sometimes referred to as the Town Hall, occupies the SW angle at the junction where Back Wynd enters the broadest part of High Street. 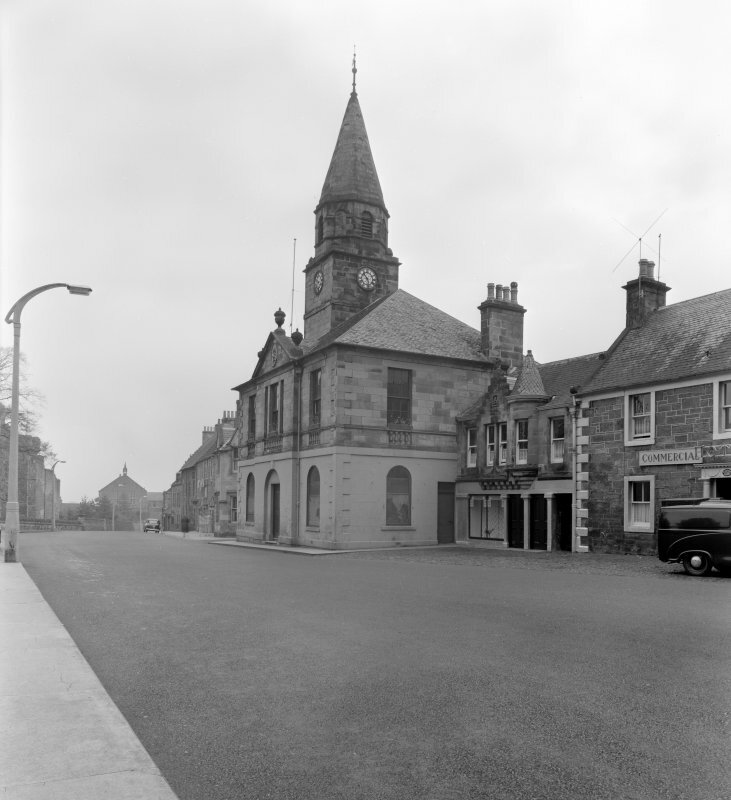 Its principal (N) front faces High Street, but the E front has a central steeple which was probably more conspicuous before the enlargement of the corner building to the E of Back Wynd, and whose position may follow that of its 17th-century predecessor. The building, which is constructed of light-brown sandstone ashlar, measures 12.2m across the N front by 11.9m, and is of two storeys surmounted by a hipped and slated roof. Its N elevation is a regular three-bay composition with stepped quoins and a projecting central bay. The ground-floor windows, and the arch enclosing the central doorway, are round-headed and the upper ones are lintelled, with balustraded aprons below a continuous moulded sill-course. Above the tripartite central window there is a pediment surmounted by three urns and enclosing the burgh arms encircled by its motto. The E elevation is of similar design to the N one, but the first-floor windows in the side-bays are blind. Above the central pediment a three-stage steeple rises to an overall height of 24m. It is square to the level of the clock-stage, which carries an octagonal belfry and a short spire decorated with blind oculi. 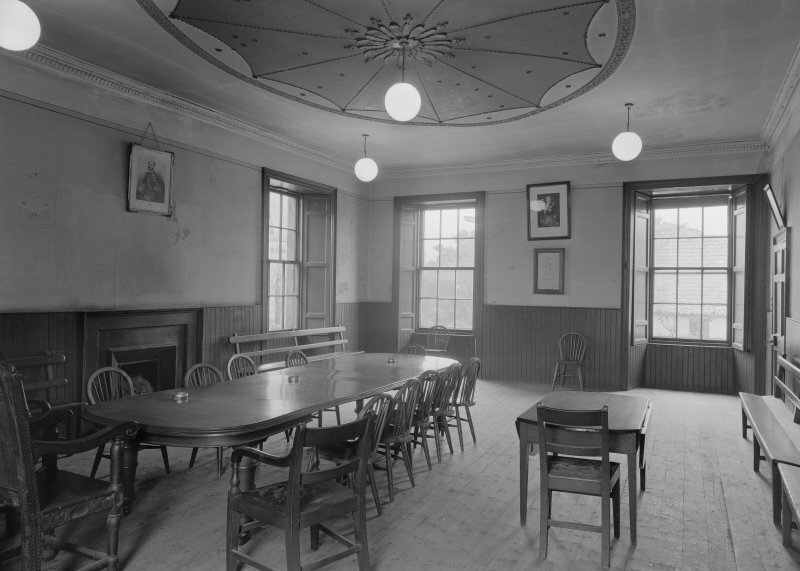 The main room on the ground floor was originally occupied by the school and that on the first floor, which has a decorated plaster ceiling, was used as the court-room and councilchamber. In its W wall there is a pine-and-gesso chimney piece whose central plaque shows a trophy of arms. 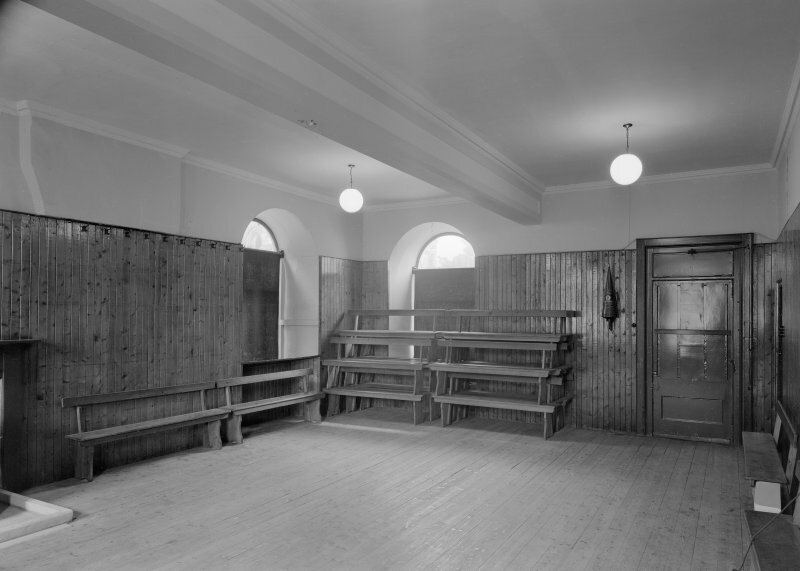 The infrequent need to house prisoners was served by the SE room at each level, and that on the first floor, which retains its window-grille, formerly had a strengthened door. 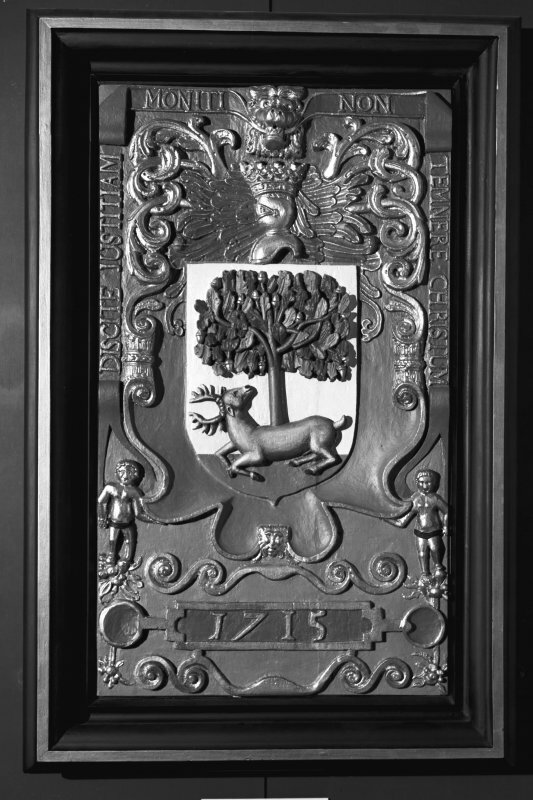 Displayed in the building there are two stone panels carved with the burgh arms and dated 1618 and 1715, the former being set above the W doorway in the NE first-floor room. 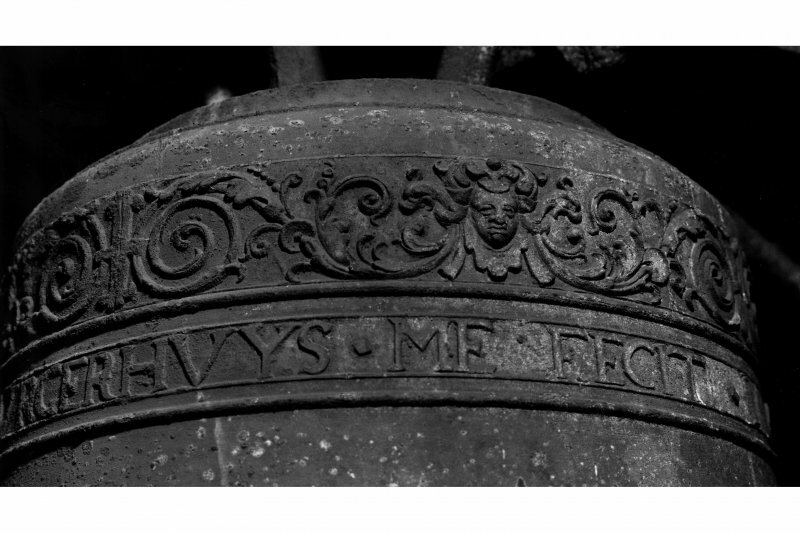 In the steeple there is a Dutch bell, 0.55m in diameter, bearing a frieze of plant-scrolls punctuated by classicising heads, and the inscription: SOLI DEO GLORlA MICHAEL BVRGERHVYS ME FECIT 1630 ('Glory to God alone, Michael Burgerhuys made me, 1630'). 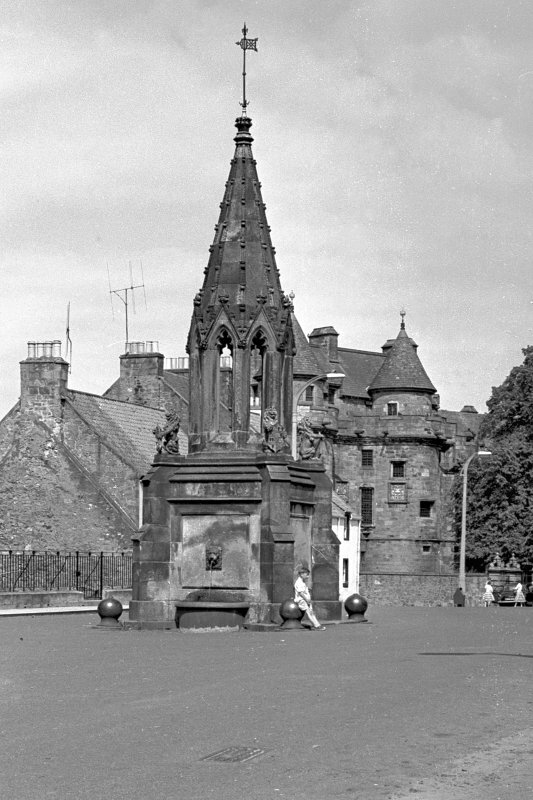 The clock was made by lames Ritchie, Edinburgh, in 1858. 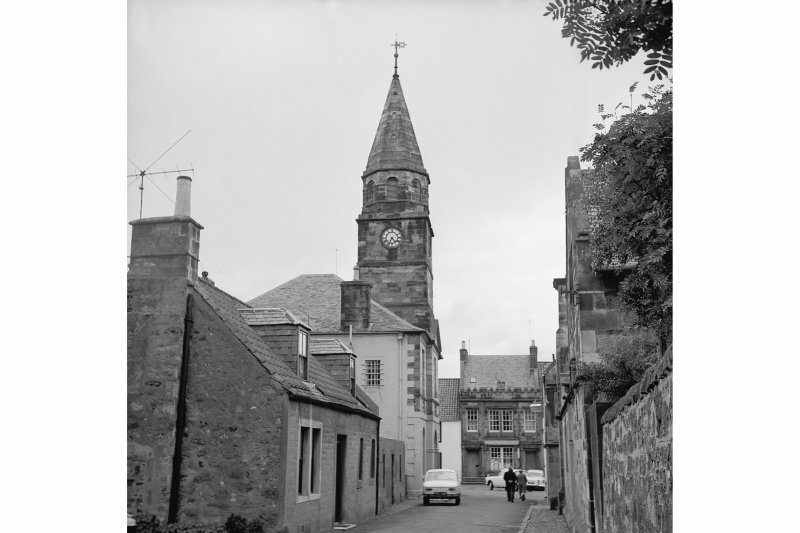 Little is known of the 17th-century tolbooth that stood on this site. 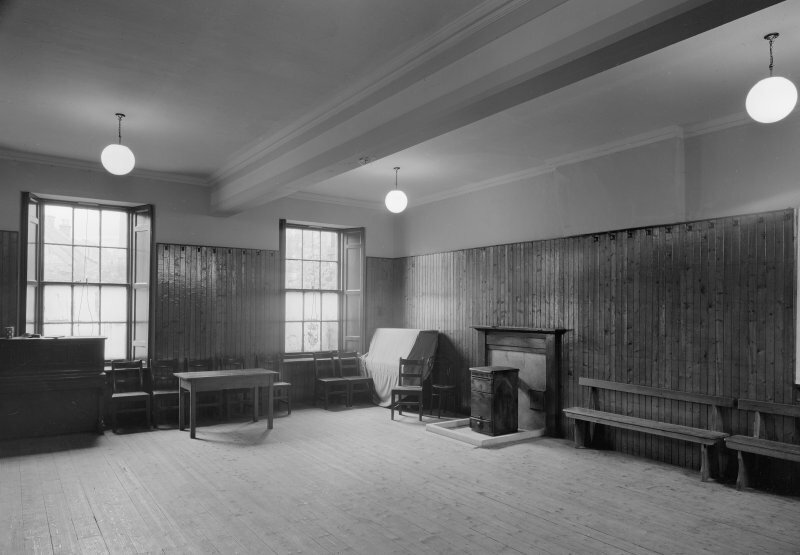 A proposal was made in 1800 to erect a new school, and since the tolbooth itself was 'in indifferent repair' the town council agreed that a single building should 'answer the purposes of the Town House, Tolbooth and School'. A design was provided by Thomas Barclay, mason at Balbirnie, and in 1801 a tender by Barclay and another mason, David Gardner, was accepted as 'by far the cheapest'. 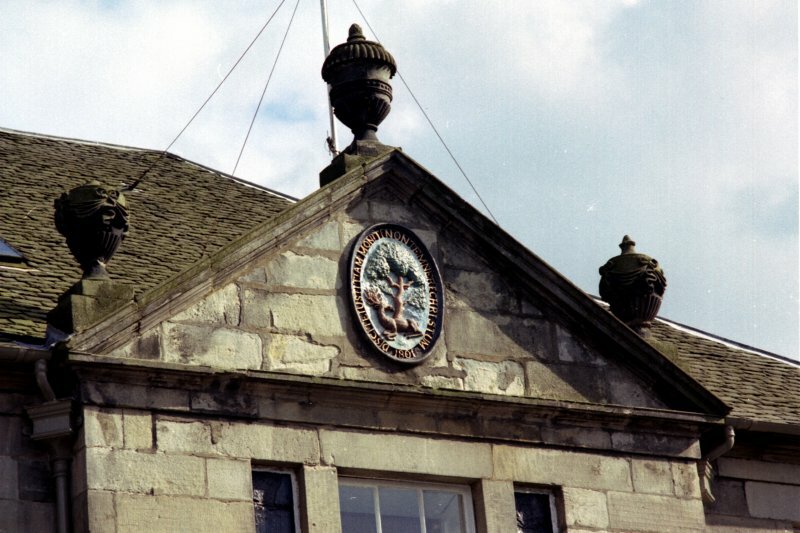 That date is carved on the armorial in the N pediment, but work on the steeple may have continued into 1802.